A tree trimmer demonstrates safe climbing techniques during a recent Hispanic Arborist Association workshop partially sponsored by SCE. 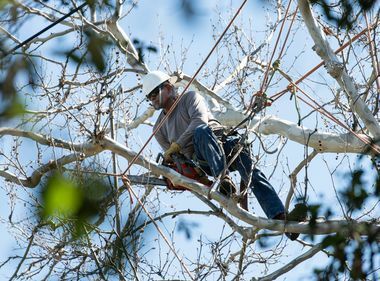 Tree trimmers learned about the perils of their job, including overhead power lines, during a recent workshop by the Hispanic Arborist Association, partially sponsored by SCE. About 100 tree trimmers and other gardening professionals participated in the Hispanic Arborist Association's safety training event. Pruning trees can be a dangerous business. SCE recently held workshops to help keep arborists safe around electricity. Tree trimming can be a dangerous business. Falls are too common, and then there are beehives, snakes, overhead power lines and even deadly palm trees. Earlier this year, a tree trimmer got stuck among the rotting fronds of a palm tree in North Las Vegas and suffocated to death. Falling branches? 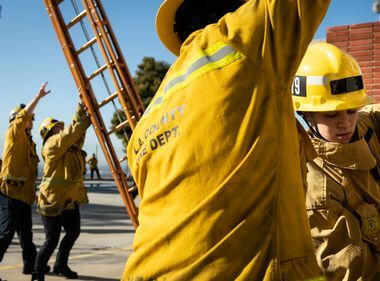 “They are called widow makers,” said Juan Garcia, 26, a field supervisor with the San Gabriel Valley Conservation Corps, a nonprofit that performs vegetation management and employs at-risk youth for job training. 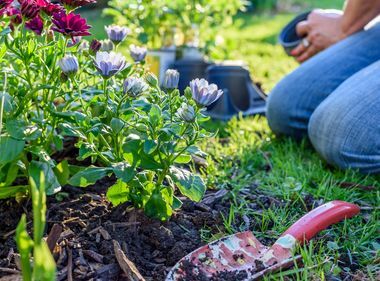 Garcia was among about 100 tree trimmers and other gardening professionals attending a pair of safety seminars by the Hispanic Arborist Association and sponsored by Southern California Edison. The seminars were part of the association’s annual Tree Climbers Jamboree and Tree Worker Training held recently at the Los Angeles County Arboretum & Botanic Garden in Arcadia. Jose Mercado, a 42-year veteran of the trade, founded the Hispanic Arborist Association a few years ago to spread the gospel of safety and provide training. Many tree workers are Spanish speakers, and the language barrier can limit their exposure to safety awareness and training, he said. Mercado is a sturdy-looking man who flows seamlessly between Spanish and English. His game-show host charisma keeps his presentations engaging, even if the subject matter is serious. At one point during his presentation, a photo flashed on the wall of someone who came in contact with an overhead power line. It underscored a paramount safety message: always be aware of your surroundings and potential dangers, especially electrical lines. According to the Centers for Disease Control and Prevention, 1,285 workers died while performing tree care and maintenance between 1992 and 2007 nationwide, the most recent statistics available. The most common causes of death were: being struck by an object such as a falling branch (42 percent), falls (34 percent) and electrocutions (14 percent). 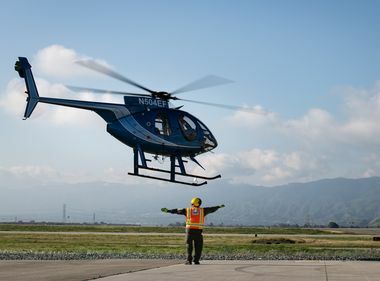 This year, Mercado was joined by SCE’s vegetation management group, which shared the company’s various resources for being safe around power lines. “We felt there was a good opportunity to share electrical awareness to this group who’s around our conductors pretty much on an everyday basis,” said David Guzman, a member of SCE’s vegetation management group, which is responsible for keeping power lines clear of vegetation throughout the service territory.